Here I am dolled up in a hand printed Venkatagiri cotton saree from Unnati Silks. 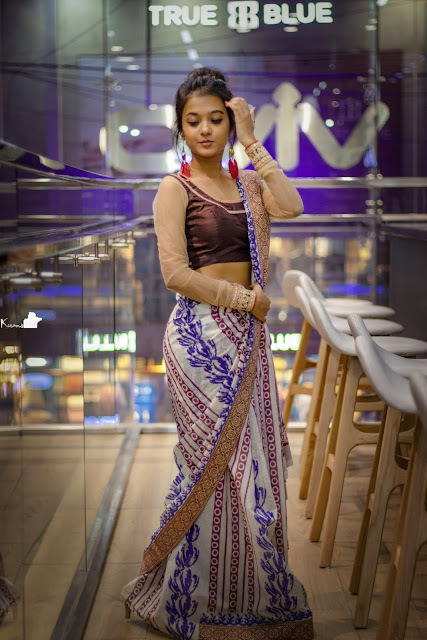 Unnati Silks has been a single shopping entity to shop genuine silk, cotton handlooms like saree, salwar suits, kurtas and other Indian textiles, shipping across India and overseas. 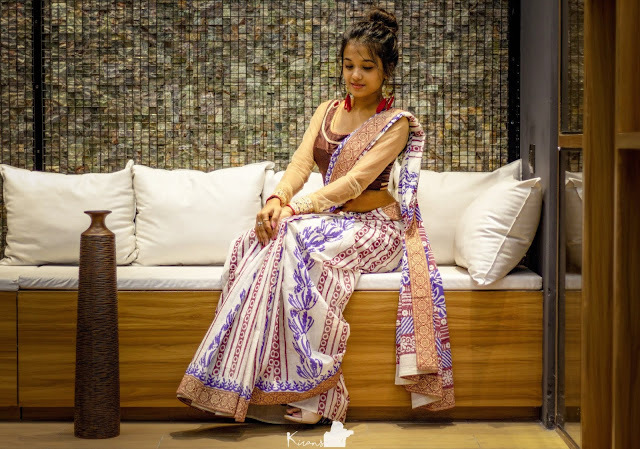 These sarees are made of pure cottons of Venakatagiri and are generally in light colors with floral designs, patterned blocks of strips which are created from Dabu printing. These have a characteristic 4 inch zari border giving it a rich look. Along with these, they have Booti magic and strips on the pallu accompanied by plenty of floral designs, making it a great option to wear. 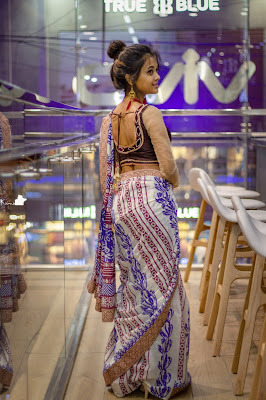 This saree can be worn on festivals, occasional events in corporate offices and so on. Pair it up with pretty earrings and Voila! You're all set. Unnati Silks is the largest online store for all varieties of ethnic wear, apt for various occasions at attractive prices. To check their range of sarees online, Click here. If you guys are new here, do check my previous posts and feel free to give feedback.